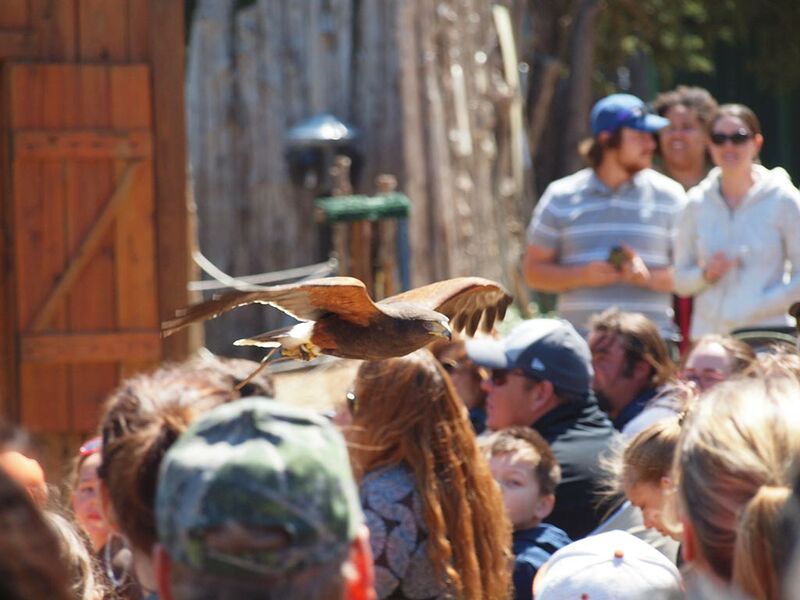 Artemis, the Eurasian Eagle Own. He is always a crowd pleaser! Harris Hawk flies over the crowd. 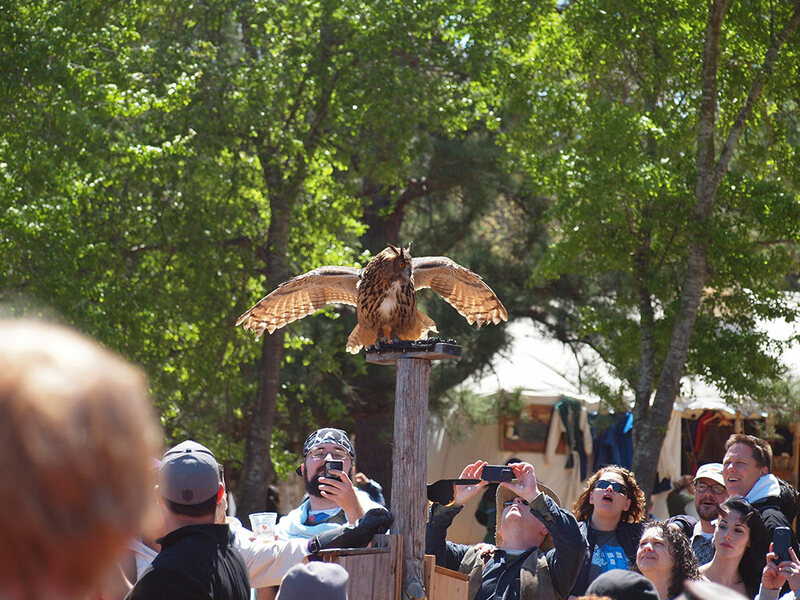 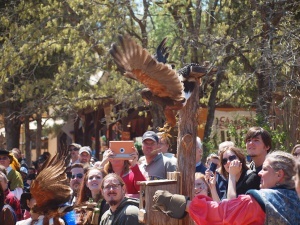 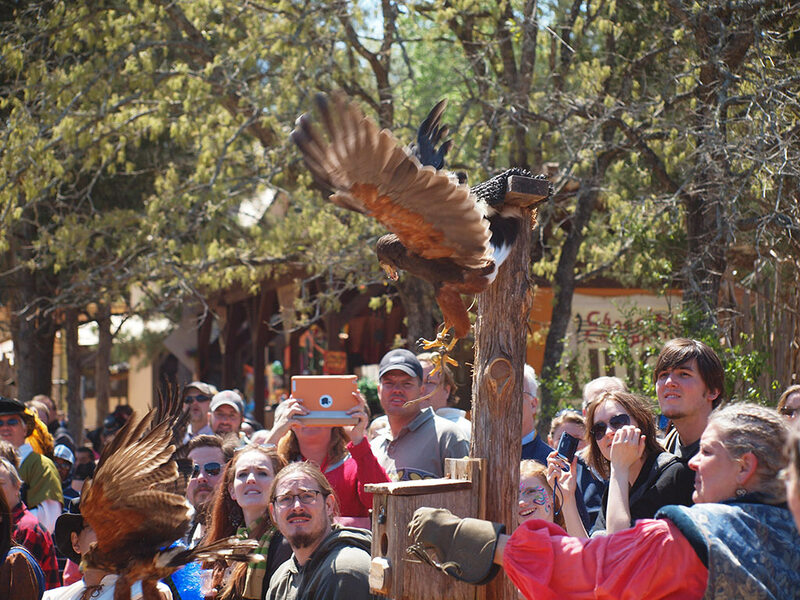 Our birds flow LOW during demonstrations!